Does the Phlox Flower All Summer? The Greek word for "flame," phlox lives up to its name with brilliant displays of color during its blooming season. There are two main families of phlox: one that creeps and acts as a ground cover, and another that grows tall. Both varieties spread, but are not considered to be invasive, making them great for borders and garden accents. They are perennial and hardy in USDA hardiness zones 4 to 8; and, with proper care, they return summer after summer. Find phlox in nurseries in shades from white, pink and lavender to deep purple, red, blue and orange. Phlox's blooming season depends on the variety you plant. Creeping phlox blooms for approximately six weeks late in the spring and into the early part of the summer in all zones where it grows. It grows close to the ground, and very gradually crawls and spreads. For large areas, propagate the plant by transplanting portions to the area where you wish to grow the phlox; it moves slowly enough that it can take years to fill in a large space. Growing anywhere from 10 inches to 4 feet high, tall phlox is a summer bloomer. While a few varieties can bloom into September, most tall phlox blooms in July and August. Notable exceptions are the Astoria and Intensia phlox, which bloom beautifully into late fall and even through winter in very mild climates. Astoria grows to about 24 inches, and Intensia tops out around 14 inches tall. 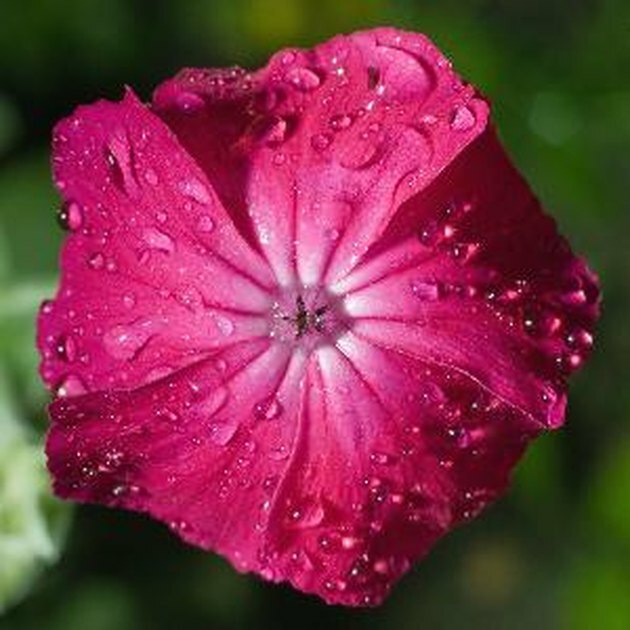 Phlox is plagued by a few problems that can inhibit blooming, like spider mites, powdery mildew and various leaf and stem blights. All of these may prevent your flowers from blooming, even if they do not kill the plant. Cutting the plants back in the spring before new growth appears may help, depending on the problem. Otherwise, watch out for early indications like leaf spots and plants that appear sickly, and apply the appropriate pesticide or fungicide for the problem. Treat any problems found with your phlox immediately to protect your plant's blooming season. Commercial pesticides and fungicides can be sprayed or dusted on the phlox. Phlox enjoy having constantly moist roots but dry foliage. Feeding, either with a good compost or a commercial fertilizer, is also important to their success. Whatever color you choose, care must be taken to dead head the phlox (that is, to pinch off the expired blossoms) to keep the seedlings from reverting to pale magenta.